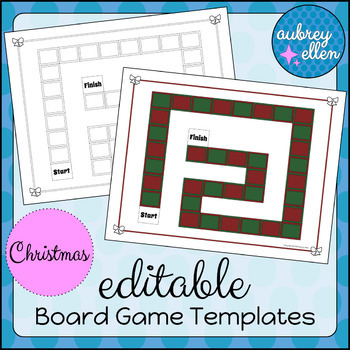 4 different editable board game templates with a festive Christmas theme! 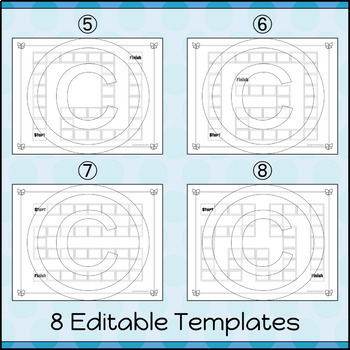 These can be printed and used as they are or you can add your own text to each board space to facilitate review games or student-centered activities in any subject. Includes a full color version and a black/white version of each design. 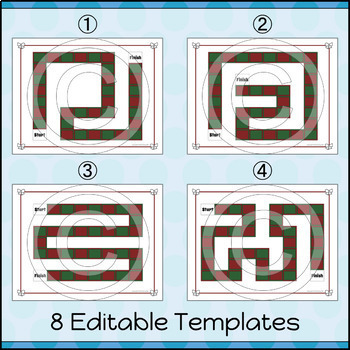 Need more EDITABLE board game templates?